For more information, contact Stephanie Ruff Corum at sjcorum@arabianfinishline.com or 717.860.6976. 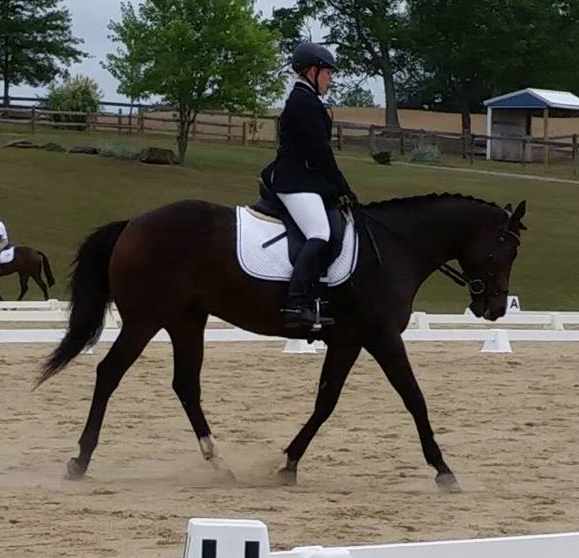 Three unique awards were offered in memory of three very special horses for Frederick Area Dressage Shows (FADS) dressage shows held during the spring and summer of 2016. Stephanie Ruff Corum, of SC Equine Enterprises, sponsored the awards in memory of three horses she had the honor and privilege of knowing for many years. They were special creatures that represented themselves well and deserved to be remembered. Winners in each division were selected based on the highest average score in at least four classes judged by at least two judges during the spring and summer show season. Jessica Richmond and Saharas Artic Gold. Winners of the FADS Cowboy Charisma Special Award for mares. The Mo Rafi Bey Award - Mo Rafi Bey was a Crabbet-bred Arabian last owned by Sue Hull. 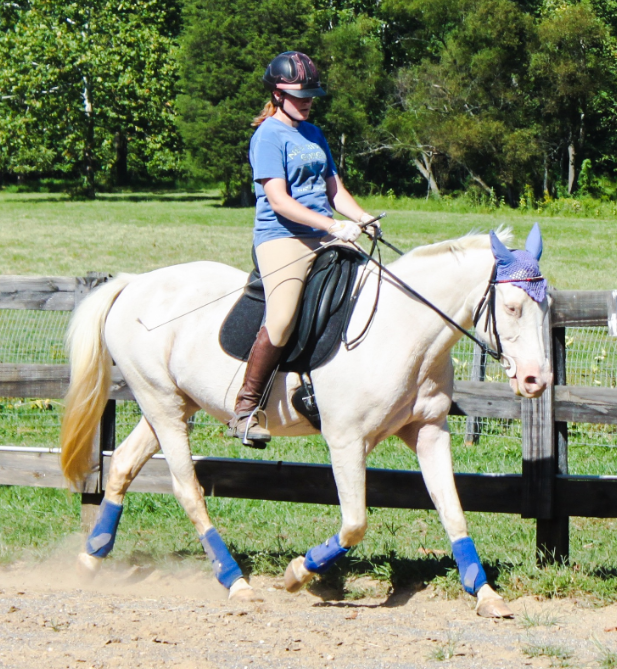 Sue purchased him as her first horse and he was very personable, charming and trustworthy. He epitomized everything that is good in the Arabian, was a stunning dressage mover and an outstanding teacher. The purpose of this award is to showcase an Arabian that excels in dressage. Unfortunately there were no submissions for this 2016 award. Aime Hartland and Zippity Kick. Winners of the FADS Copper Challenge Special Award for thoroughbreds. Thank you Stephanie for sponsoring these awards. Stephanie Ruff Corum, of Germantown, Maryland, is a freelance writer and horse lover. She writes magazine articles, online content, and blogs about her horse experiences at www.theridingwriter.wordpress.com. She also is the author of two illustrated children’s books, “Goats with Coats” and “Antics in the Attic” and is the publisher and editor of Arabian Finish Line magazine. Learn more about her at www.theridingwriter.com.